The latest is Samantha French. 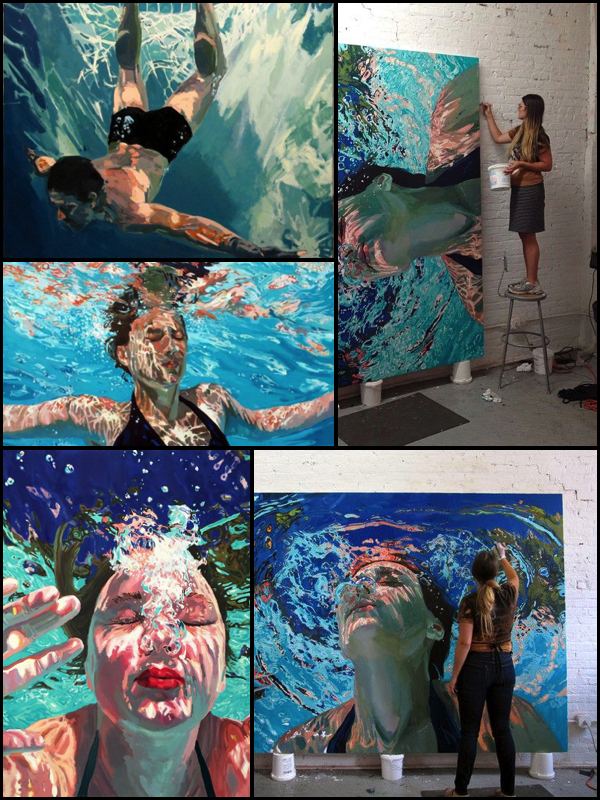 She works in Brooklyn and graduated from the Minneapolis College of Art & Design. Her current body of work “explores the idea of escape, the tranquility and nostalgia for the lazy summer days of her childhood.” That concept alone I find wonderful as we can all use an escape. Her paintings are large, so viewing the pieces from a distance gives you a wonderful sense of the scene. Closeups reveal her wonderful brushwork and use of color and contrast; very reminiscent of the Impressionists. Seeing a modern artist work like this gives me great pleasure as I can see the talent and hard work in the paintings themselves. They have a sense of history as they fit into today, but show techniques of the past. I highly recommend viewing her website.